It's no secret that administration staff can often be snowed under, with task after task awaiting their attention, so why not employ software that allows your administrators to complete the day to day management of their people online, quickly and easily? 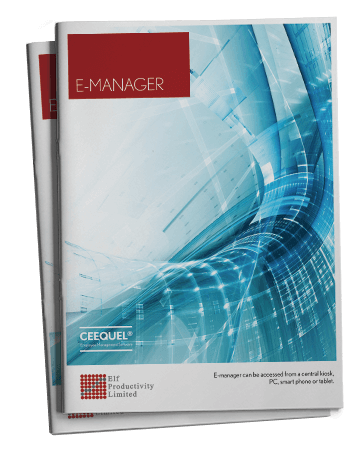 Ceequel's E-Manager offers endlessly configurable screens which will quickly become an indispensable tool. Real-time indicator board - Who's in?